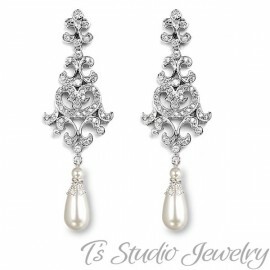 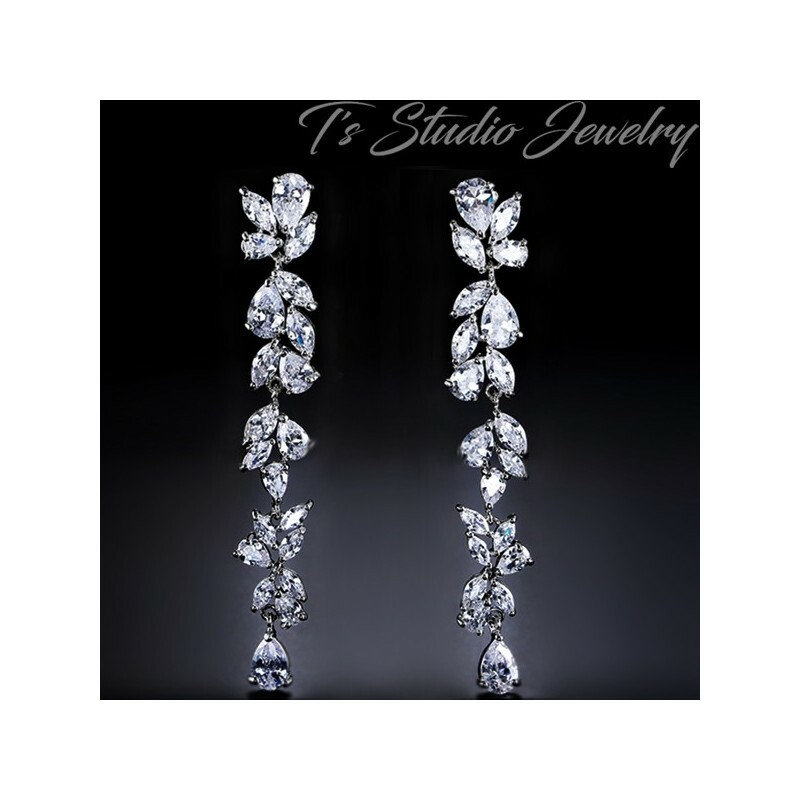 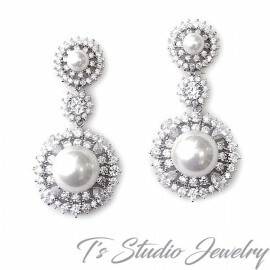 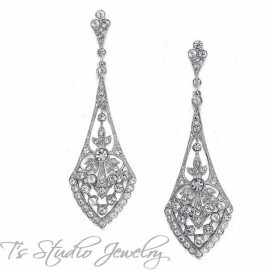 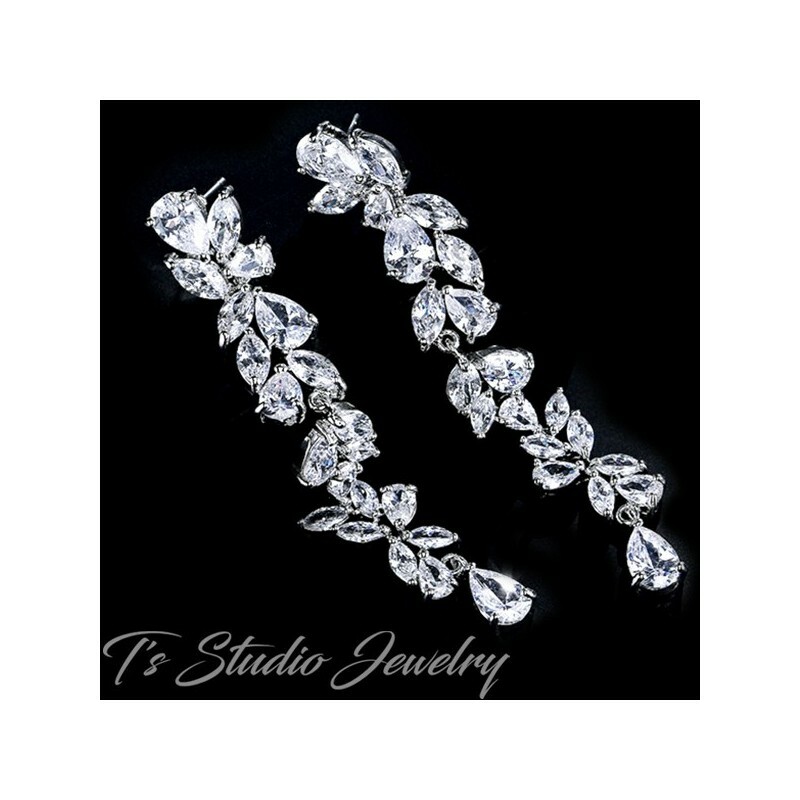 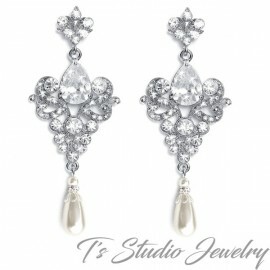 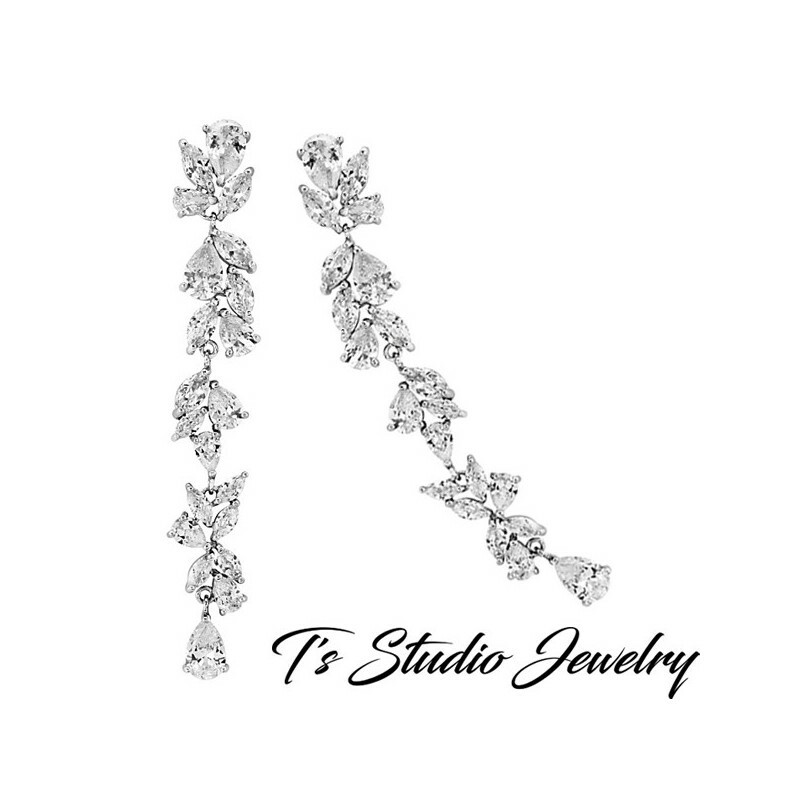 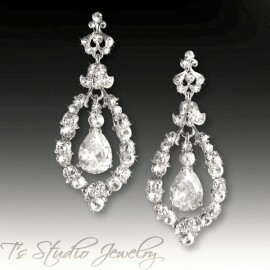 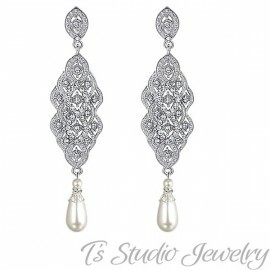 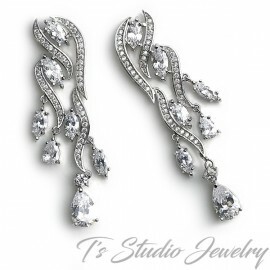 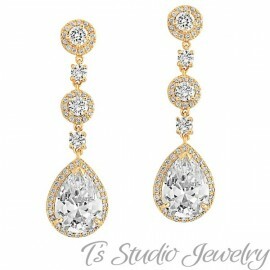 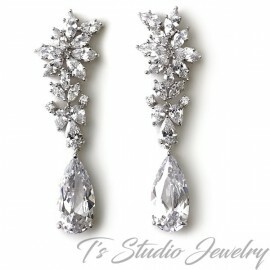 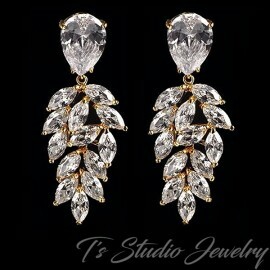 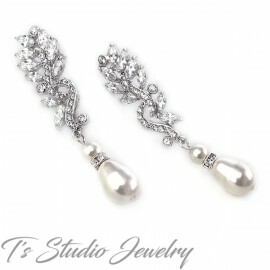 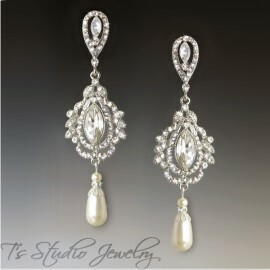 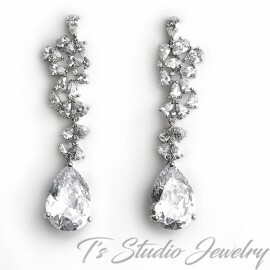 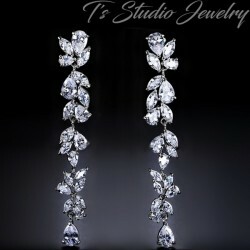 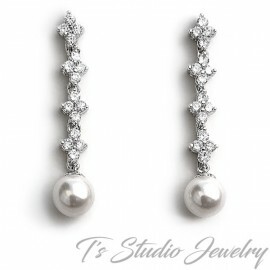 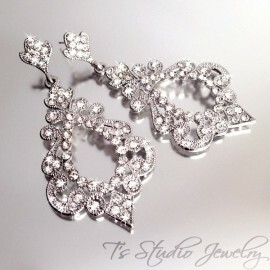 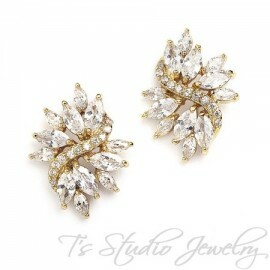 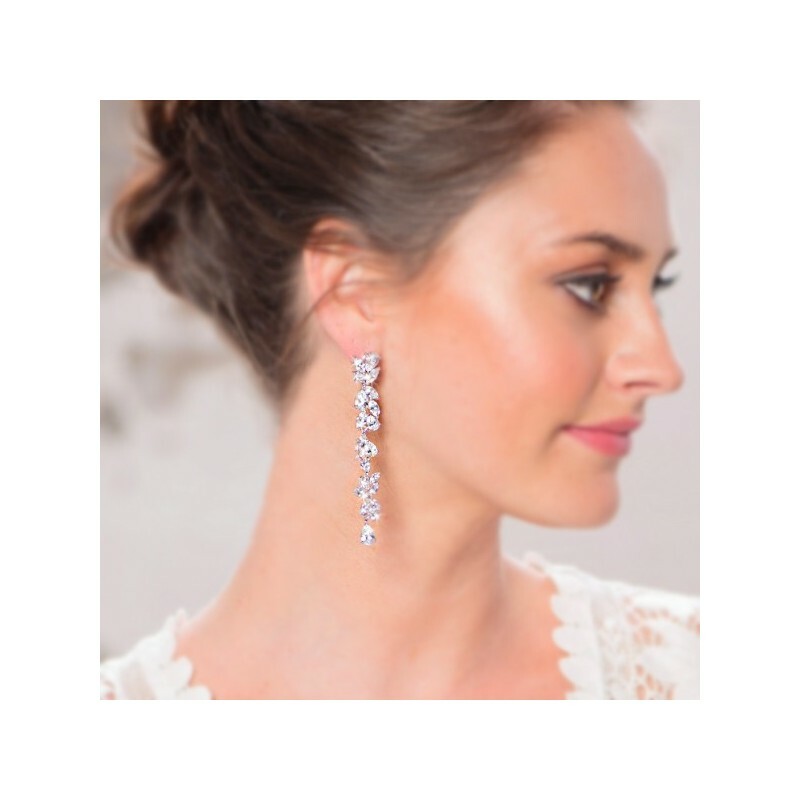 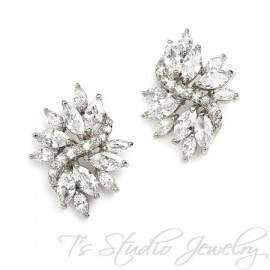 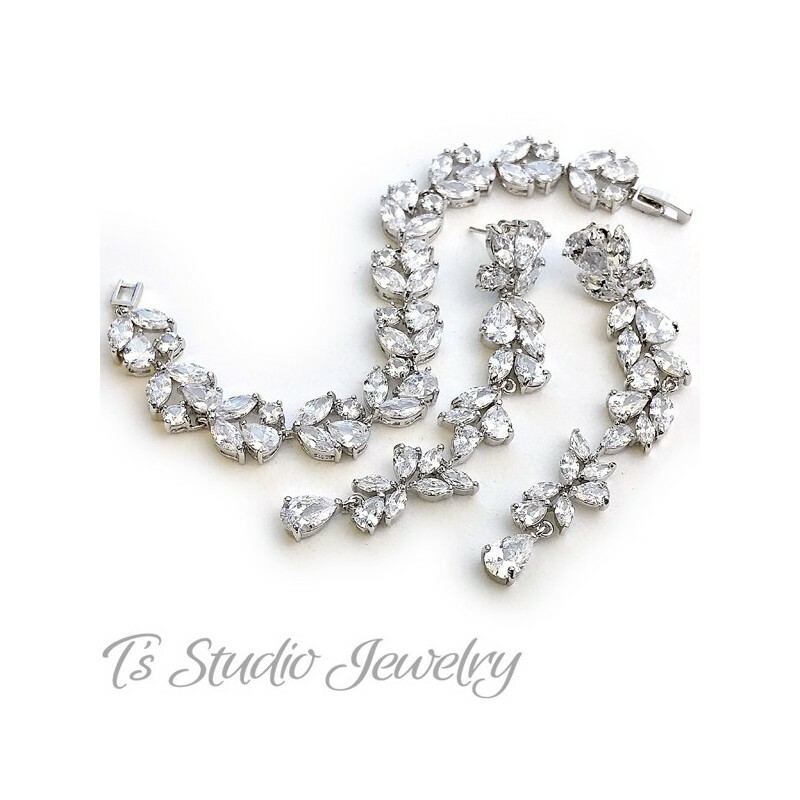 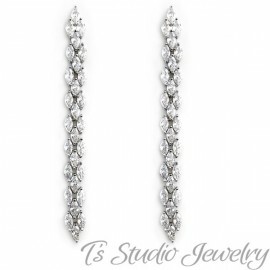 These beautiful CZ shoulder duster bridal earrings are dramatic, yet very elegant. 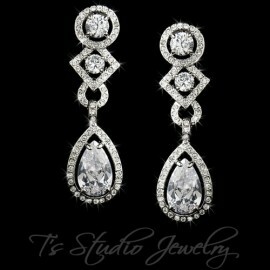 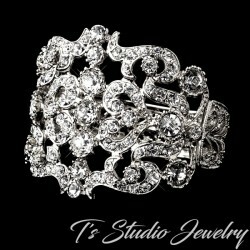 Made with a combination of pear and marquise shaped clear cubic zirconia crystal stones. 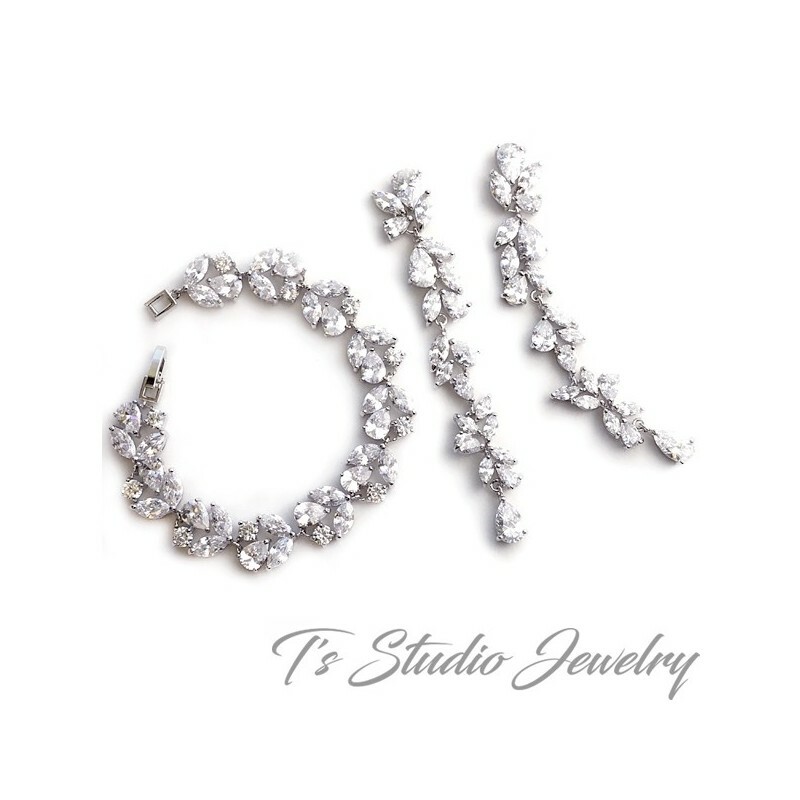 Don't forget to check out the matching bracelet and necklace! 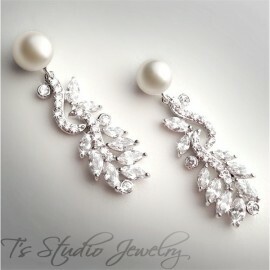 I purchased two pair of 4-5 inch earrings for a special occasion , these are a perfect bridal,New Years, prom, pageant earring. 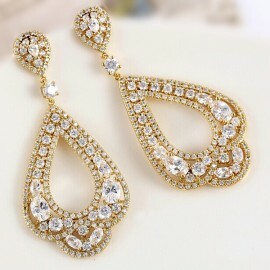 Lightweight , I would recommend!